Thanks for stopping by today. 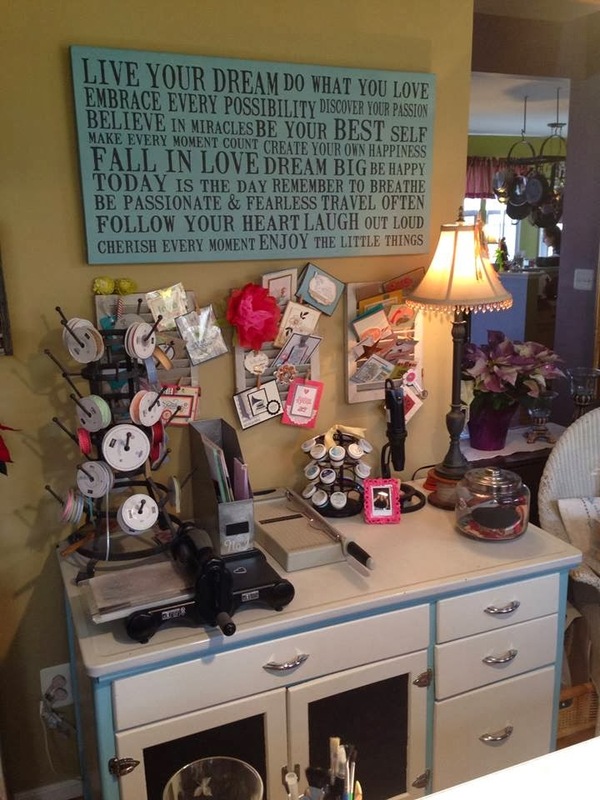 If you are already on the tour, you should have just come from Anne Matasci's blog Maui Stamper. As always, I'm sure she inspired you with her creations! Today, we're working with the extremely versatile Mosaic Madness stamp set. I've enjoyed working with it in the short time I've had to stamp lately and can see that it's going to become a well-loved set in my studio. All the extras that coordinate with it really give it the versatility - there's the Mosaic Punch, the Mosaic Embossing Folder and the Quatrefancy Specialty Designer Paper. 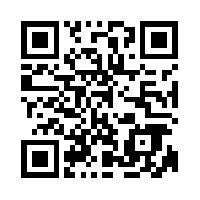 Great new and fun options in the new catalog. When I sat down at my table to start designing for today's tour, I knew I wanted to try something completely different, so tell me, what do you think? 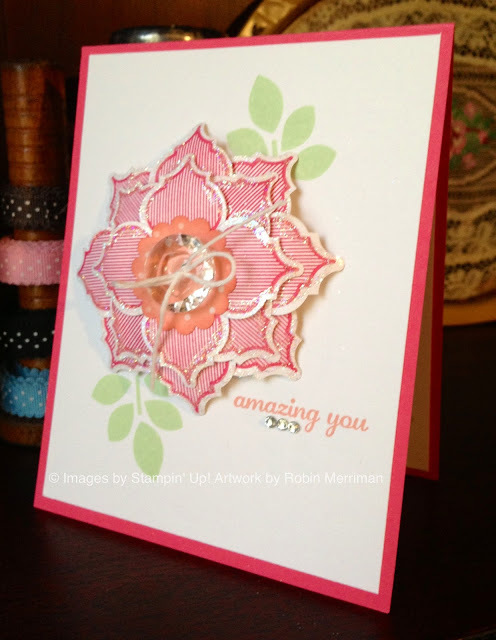 I used the striped mosaic stamp to create flower petals for this two layer flower. Each layer has 8 petals, stamped with Strawberry Slush ink, punched out with the Mosaic Punch and adhered to a punched circle cardstock base. For the bottom layer, I adhered them to a 1 3/4" Circle, for the top layer, I used the 1 1/4" Circle punch. Each petal was curled slightly using my Bone Folder before I glued them down. 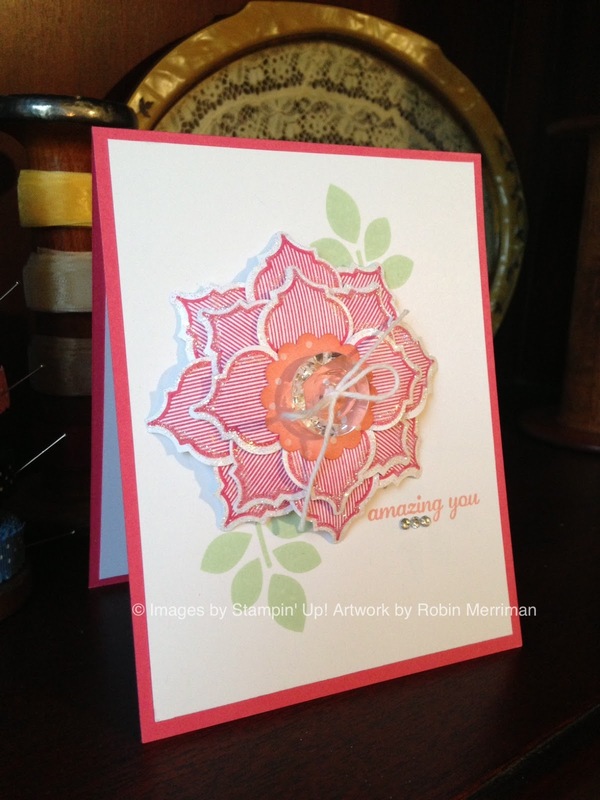 The top layer is mounted on stacks of two Stampin' Dimensionals to give it more lift, then the whole flower is mounted to the card front with a single layer of dimensionals. I did use my Two-Way Glue Pen to add some Dazzling Diamonds glitter to the edges of the flower petals before I adhered it. The flower center is a piece of Crisp Cantaloupe Designer Series Paper punched out with the 1 1/4" Scallop Circle Punch and sponged in the same color. I threaded a large Vintage Button with Whisper White Baker's Twine and adhered it to the circle with Glue Dots. For the background, I stamped the leaf image from Betsy's Blossoms in Pistachio Pudding ink on Whisper White cardstock. The greeting, from the new Hostess stamp set Express Yourself, was stamped in Crisp Cantaloupe and then I added the 3 Basic Rhinestones as a final accent. 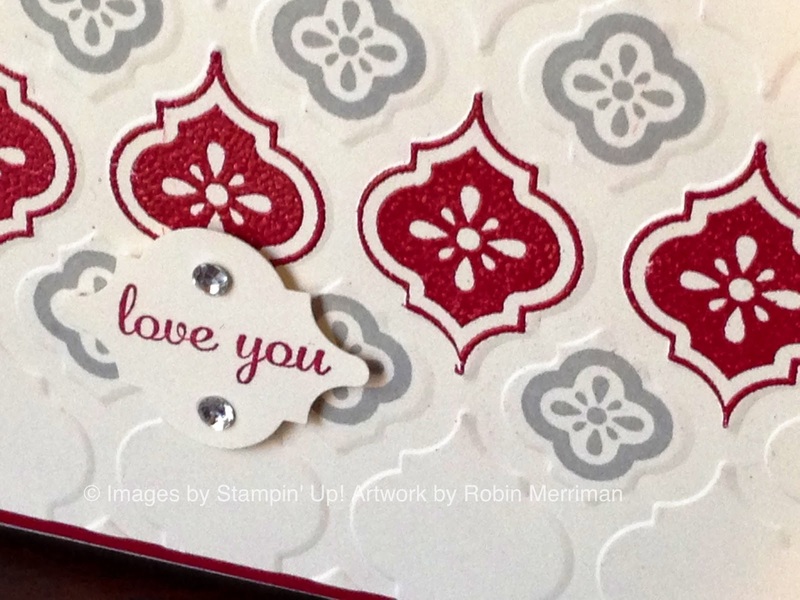 The card base is Strawberry Slush to coordinate with the ink colors. 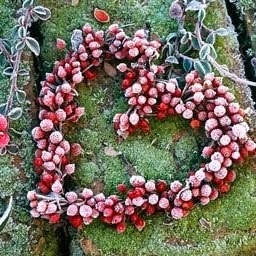 I LOVE how this one turned out - and it was really easy to create too! 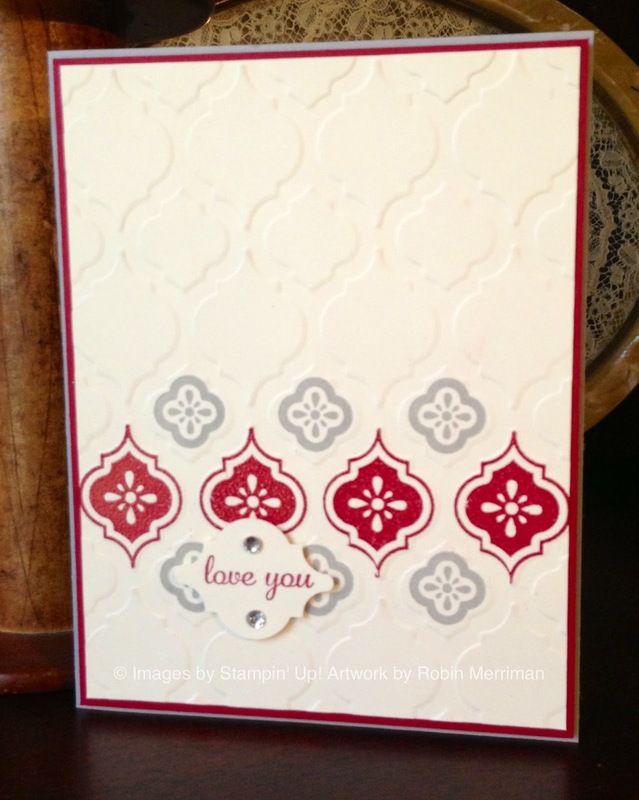 I took a piece of Whisper White cardstock and ran it through the Big Shot with the Mosaic Embossing Folder. Working on the side with the raised mosaic pieces, I took out my Stamp-a-ma-Jig and got stamping. I inked the stamp image in Versamark ink and stamped it on one of the raised mosaic pieces. Next, I heat embossed it with Cherry Cobbler Embossing Powder and moved on, stamping four of them in a row, one at a time. Once the embossed mosaics were done, I took out my Smoky Slate ink pad and again with the Stamp-a-ma-Jig, inked the small mosaic image and stamped 6 of them around the embossed mosaics. **Note - I was working with this set in Wood Mount, but I would recommend using the Stamp-a-ma-Jig even if you are using the Clear Mount stamps. It's necessary to get them lined up well. The card layers are Smoky Slate for the base and Cherry Cobbler for the mat. The Cherry Cobbler layer is popped up on Stampin' Dimensionals all the way around to give it a more elegant look. 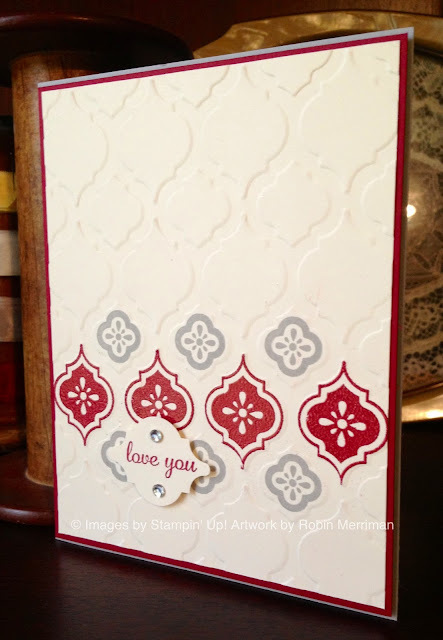 I used the same greeting stamp set as on the first card, this time stamping in Cherry Cobbler. I turned the Mosaic Punch sideways to fit my greeting and added two Basic Rhinestones as an accent. 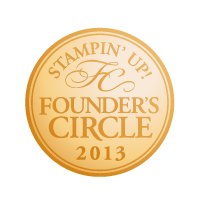 The greeting is popped up on a Stampin' Dimensional. This card really made me smile - even my hubby liked it - so that's the seal of approval right there! Those are my offerings for you today with the Mosaic Madness stamp set - next stop on our tour is Maria Pane's blog so click on the icon below and hop on over there! Thanks for stopping by, I'd love a comment from you to let me know how you liked the projects! Yum! Love this - especially the Slate/Cobbler Combo! 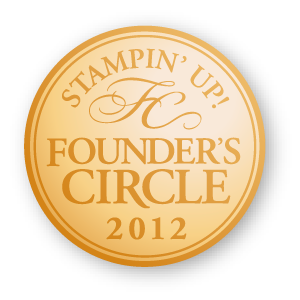 Great out of the box stampin'!! Both of your cards are great. Flowers are a favorite of mine and I was drawn as to how nice the Mosaic stamp and punch worked together to make a flower. The second card has prompted me to order the Smoky Slate on my next order. The Smoky Slate/Cherry Cobbler combination are such a good color match. Awesome job on these cards Robin!! Love both of the techniques you used (flower and embossing) to make them so different. These are great! I especially love the last one!